Happy Halloween, everyone! Use this thread to post your pics from Halloween 2010! I'll post Alana in her costume later, but for now I figured I'd start with our Jack O Lantern! We got the template with our little pumpkin carving kit and thought it looked so much like Mad King Thorn that we just had to use it! Normally I draw the face myself, but this was too neat to pass up. Thank you! Scott's the one who did the carving. He's pretty good at it. I mainly just scooped the guts out. I'm not finished making my costume yet. I'm making a blue yoshi costume, but hand-sewing takes a while. 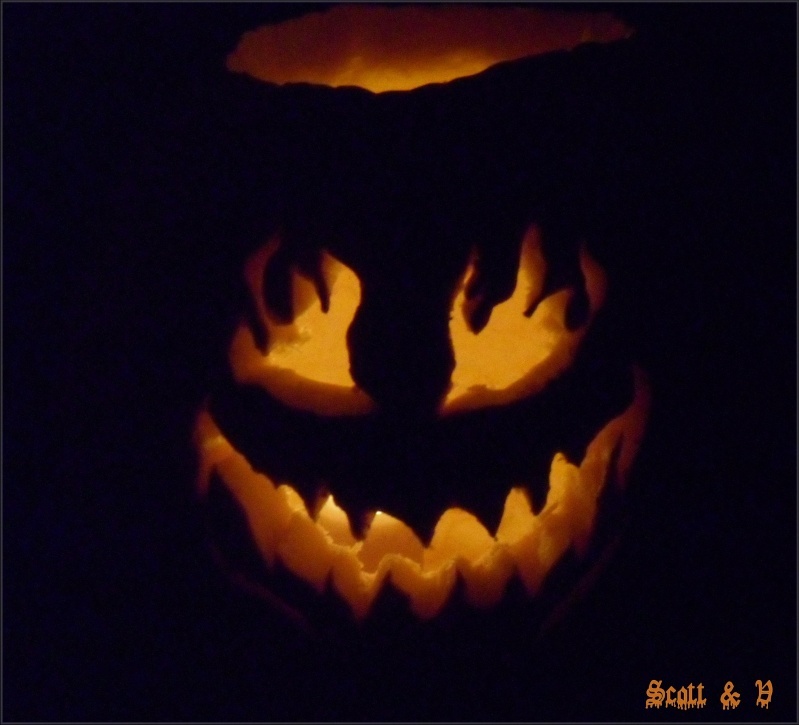 Cool Jack-O-Lantern! Thank you! I can't wait to see your blue yoshi!